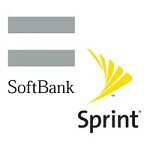 With Sprint stockholders set to vote next Wednesday on the $20.1 billion offer from Japan's SoftBank to buy 70% of Sprint, one of the top proxy advisory firms, Glass, Lewis & Co., is recommending that Sprint holders abstain from voting their shares until Sprint clarifies its view about the $25.5 billion bid from Dish Networks for all of Sprint. The advisory firm says that with what appears to be a bona-fide offer from Dish, it would be premature to approve the offer from SoftBank. Just the other day, proxy advisor ISS recommended that Sprint holders vote in favor of the SoftBank deal while not passing along any judgment on whether the Dish deal is the superior offer. On a per share basis, Dish gives stock holders more money, but SoftBank plans on financing Sprint to the tune of $8 billion after the deal. Dish has not revealed any such plan. Furthermore, the bid from SoftBank is fully financed while the Dish deal is not. That would mean that if Sprint holders turn down SoftBank and its outspoken chief executive Masayoshi Son, Sprint holders technically could end up with no bid. And since SoftBank has been financing Sprint's bid to buy network wholesaler Clearwire, should the deal with the Japanese communications firm not get approved, the carrier could end up losing Clearwire to Dish. Or was that Charles Ergen's strategy all along? Some major Sprint holders like hedge-fund Paulson and Co. and Omega Advisors, the second and ninth largest holders of Sprint respectively, both have said that Dish's deal for all of Sprint looks attractive. Another proxy advisory firm, Egan-Jones Proxy Services, is recommending that Sprint holders vote against the SoftBank offer with the thinking that there could be a deal with Dish or a higher bid from SoftBank. With the stockholder vote a week away, we could see SoftBank revise its bid higher in order to get stock holders firmly on its side. Seems like the Dish deal only makes the preferred stockholder happy so that they can cash in. After that Sprint is debt laden and unable to finance its future network deployment. Typical analyst focusing only on making short term financial gain. Sprint will most certainly NOT lose Clearwire. They made that very clear in their letter on Monday and they are a majority shareholder, meaning they would have to approve a buyout of Clear. Sprint is well aware of Clear's assets and their value because they contributed much of it when their Xohm 4G WiMAX business merged with Clearwire.